All kind of rocks are made from Minerals. Gold is a mineral, it is also a chemical element with the symbol Au and atomic number 79. Elements are a subject we are going to talk about later… but first let`s see the Minerals, we have seen rocks so now it is time to see the minerals the things that the rocks are made from. It takes many minerals to make something as simple as a wooden pencil. The “lead” is made from graphite and clay minerals; the brass band is made of copper and zinc, and the paint that colors it contains pigments and fillers made from a variety of minerals. A cell phone is made using dozens of different minerals that are sourced from mines throughout the world, including gold. “Naturally occurring” means that people did not make it. Steel is not a mineral because it is an alloy produced by people. “Inorganic” means that the substance is not made by an organism. Wood and pearls are made by organisms and thus are not minerals. 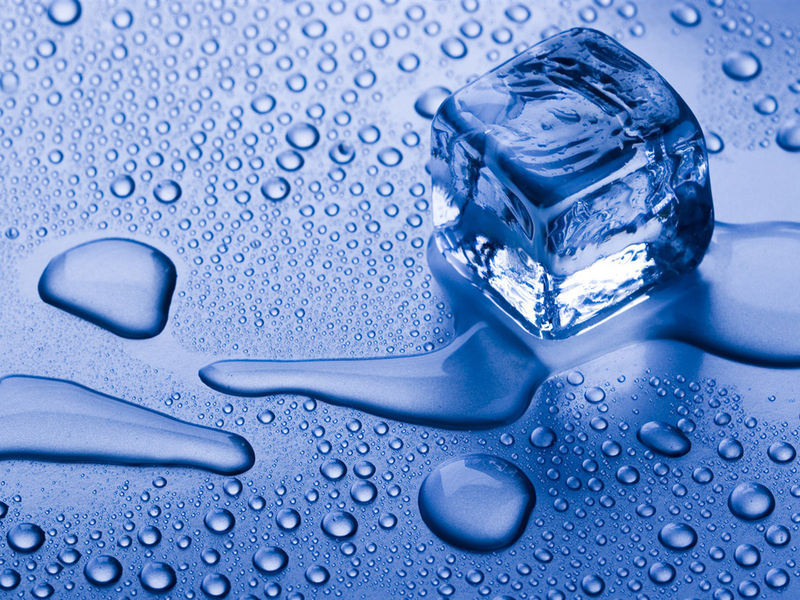 “Solid” means that it is not a liquid or a gas at standard temperature and pressure. “Definite chemical composition” means that all occurrences of that mineral have a chemical composition that varies within a specific limited range. For example: the mineral halite (known as “rock salt” when it is mined) has a chemical composition of NaCl. It is made up of an equal number of atoms of sodium and chlorine. “Ordered internal structure” means that the atoms in a mineral are arranged in a systematic and repeating pattern. The structure of the mineral halite is shown in the illustration at right. Halite is composed of an equal ratio of sodium and chlorine atoms arranged in a cubic pattern. There are approximately 4000 different minerals and each of those minerals has a unique set of physical properties. These include: color, streak, hardness, luster, diaphaneity, specific gravity, cleavage, fracture, magnetism, solubility and many more. These physical properties are useful for identifying minerals. However, they are much more important in determining the potential industrial uses of the mineral. In Guatemala there are many kinds of minerals. Let’s see their location by region. – Petén Lowlands: They represent an area of ​​tropical rainforest with average elevation of 100 meters above sea level. Here are localized deposits of gypsum, carbonates and oil. 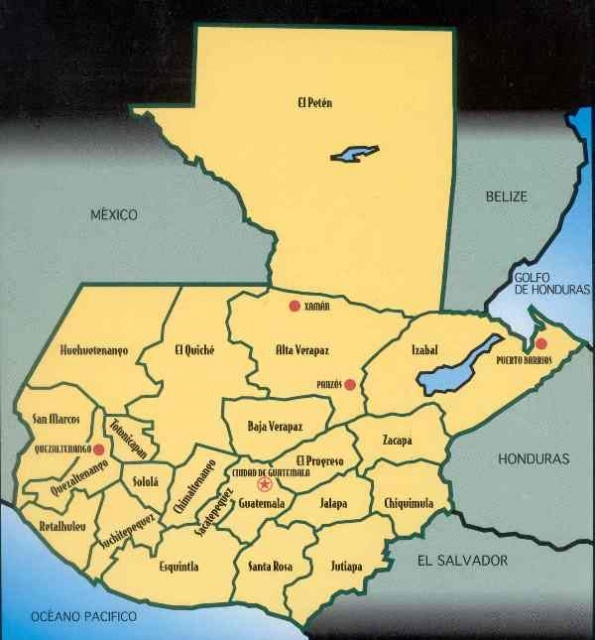 – Central Cordillera: It is distributed in the central part of Guatemala, covering one third of the national territory. It is part of the system that is developed from Chiapas, Mexico to the Gulf Islands of Honduras. The highest non-metallic mineral occurrence in this area include barite, serpentine marble and limestone, shale, jade, talc, and industrial rock. In the case of metallic minerals are found lead, copper, antimony, zinc, silver, gold and nickel. – Volcanic Province: It covers an area of ​​approximately 25,000 square kilometers, containing 40 major volcanoes. The elevation above sea level is between 50-300 meters. In this region are extensive deposits of pumice, tuffs and lava flows, including non-metallic minerals. It is also lead, zinc, silver and gold, including metal ores. – Pacific coastal plain: Includes a plain about 50 kilometers wide formed along the Pacific coast of the products of material derived from the volcanic highlands. The minerals that can be found include sand, gravel and pumice. They are also, sandy sediments with high content of iron and titanium-titaniferous black sand beaches of the Pacific Ocean. The region with the highest concentration of metallic minerals is called Cordillera Central, containing forest land which tend to be less suitable for agriculture. The Motagua river is located in the Central Cordillera or Cordillera Central. Our projects are located in this very same area and among other minerals, gold is located very easy in aluvial streams of the Motagua. -Huehuetenango: antimony, zinc, mercury, silver, lead, tungsten, barite, salt and coal. – Chiquimula: antimony, zinc, copper, iron, silver, lead, gold, clay, bentonite, kaolin, coal, diatomite, graphite, opal, jasper, perlite and gypsum. – Baja Verapaz: zinc, silver, lead, clay, barite, quartz, dolomite, feldspar, obsidian, gold, serpentine and tourmaline. – Alta Verapaz: cobalt, copper, chromium, nickel, mica, rock salt and gypsum. – Izabal: Cobalt, copper, chromium, magnesium, nickel, gold, silica sand, coal, graphite, obsidian, jasper and opal. – Jalapa: chrome and diatomite. – El Progreso: magnesium, manganese, asbestos, asbestos, limestone, marble, perlite, gold, serpentine and talc. – Zacapa: Manganese, diatomite, fluorite, jade, marble, opal, serpentine and perlite. – Quiche: Gold, barite, graphite, garnet, mica and gypsum. – San Marcos: gold, titanium and carbon. – Guatemala: Sand and gravel, limestone, quartz, diatomite, dolomite, marble, obsidian, perlite, pumice and tourmaline. – Quetzaltenango: sulfur and pumice. – Santa Rosa: sulfur, kaolin and cinders. The departments of El Progreso and Baja Verapaz where our projects are located in mining exploration, as seen, is one of the most important for the localization of gold. Later we will see in detail these departments and especially the Motagua River area.